Workers compensation is a big industry in Fontana California and the Inland Empire because of the large amounts of industrial workers in the area. 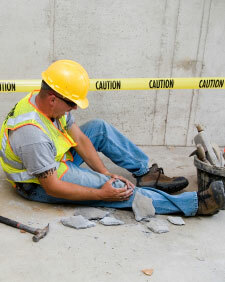 Those working physical jobs are extremely likely to suffer an on the job injury during their career. Whether the injury is big or small, or related to a specific accident or from repetitive work activities, help from a local Inland Empire California work comp injury lawyer is usually necessary to protect the workers rights and maximize their recovery. This is because the insurance company usually refuses to properly administer their claims in accordance with California law. If you have experienced a work comp injury in Fontana California, get a lawyer on the phone to discuss your unique accident situation immediately. It is important to know your rights even if you end up deciding not to hire a lawyer for the case. Many law firms are extremely busy and do not give individualized attention to the claims of their clients. This does not necessarily mean that those firms cannot get successful outcomes for their clients on their workers comp claims. However, if you are looking for individualized and direct help from an experienced attorney, you should get in touch with Attorney Alexander Napolin. He has been trusted by hundreds of injured employees in the Inland Empire and is willing to use his experience to counsel you and fight for your rights. Should you need work comp injury help in Fontana or a surrounding city, call 1 (909) 325-6032 and Mr. Napolin will come to the phone to help you understand your unique situation and your legal and personal options. When you call, you do speak directly with Attorney Napolin for a free legal consultation. You will get help with the following with no obligation to hire Mr. Napolin for his advice. Explain the basic benefit structure of work comp. Napolin Law Firm is run by Mr. Napolin. He personally provides legal consultations and ongoing legal advice and guidance to his clients. When you hire Mr. Napolin, you will have access to speak with him on a consistent basis. 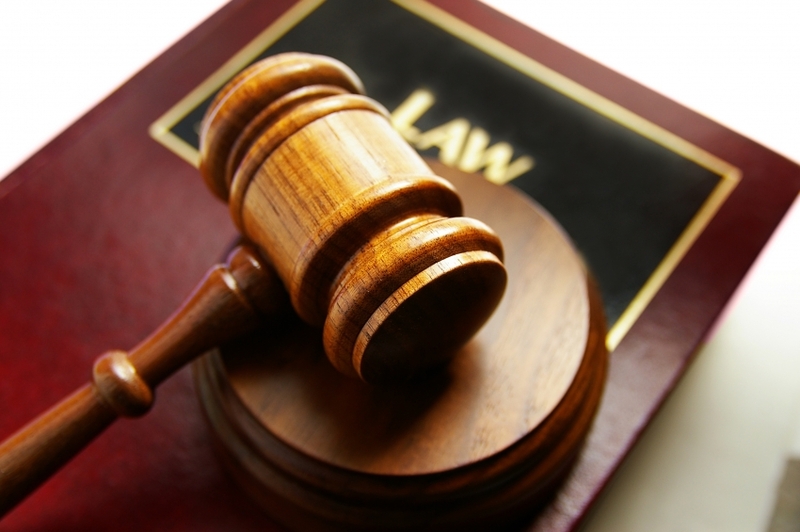 You do not have to worry about being passed off to a paralegal or other legal assistant who is not an attorney. Mr. Napolin will always be upfront about his opinion about your claim and your options. This makes sure that his clients plan accordingly based upon what their claim is likely worth and not based upon outrageous promises about results that many attorneys make but cannot deliver. If these are qualities you look for in a lawyer, make sure to call Mr. Napolin at 1 (909) 325-6032 to discuss your case today! All consultations are free, and should you choose to hire Napolin Law Firm, you will not have to pay them one penny upfront. You only pay when you recover money on your claim. 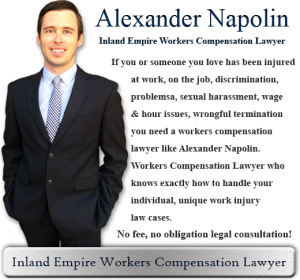 Since consultations are free and there are no up front costs, there is no reason not to get Mr. Napolin on the phone today to get the advice you need and deserve from an experienced Fontana California workers compensation professional! Visit Napolin Law Firm at www.WorkersCompLawyerIE.com to submit a case evaluation for a call back! Call today to learn more about what potential benefits you can receive under workers comp! This article was posted in Employment Law, Fontana California, Inland Empire California, Workers Compensation Law and tagged Fontana California, Inland Empire Lawyer, Work Related Accident Injury.